Hi, Anna here from the Metro Chicago trip, back for three more posts. (Told ya I wasn’t finished!) Here’s the first. 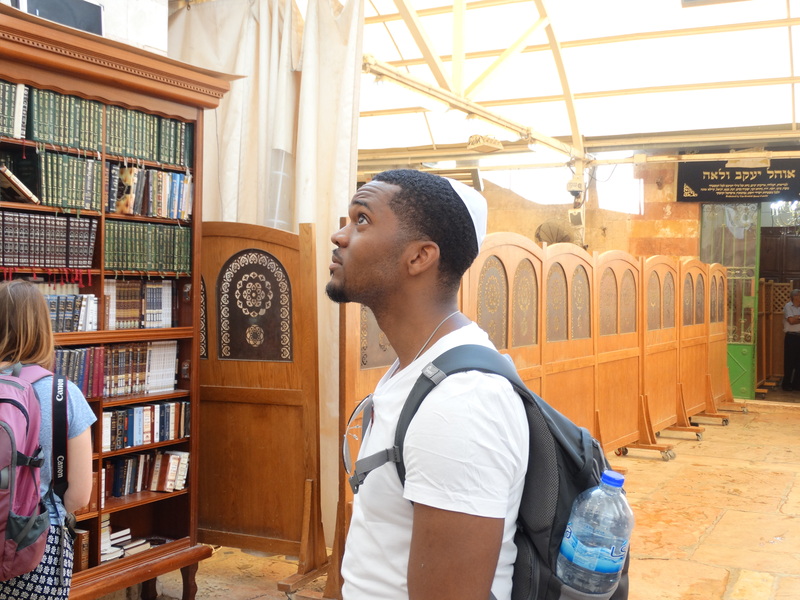 When we went to Hebron, I was just a little nervous, as I knew it was one of the cities in the West Bank that is under lots and lots of tension. I wasn’t really nervous for our safety, though. Just more nervous about what we might see. We parked the van and walked with our tour guide from Alternative Tour Group (ATG) down to the market street on the way to the Ibrahimi Mosque and Temple. We were going to see the tombs of Abraham and Sarah, Isaac and Rebecca – people who are significant for Jewish, Christian and Muslim religions. On the way there, we heard the story about how an extremely far-right American Jewish settler had shot and killed 29 worshippers and wounded 125. 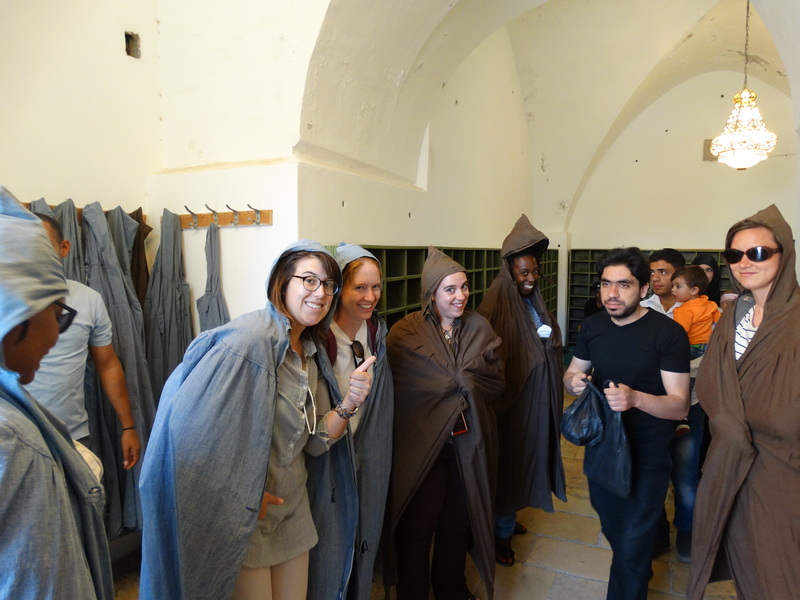 (https://en.wikipedia.org/wiki/Cave_of_the_Patriarchs_massacre) We went into the mosque – all of the women had to wear these grey poncho things to cover up. Photos by Ulysses Burley, who did not have to wear a grey poncho thing. 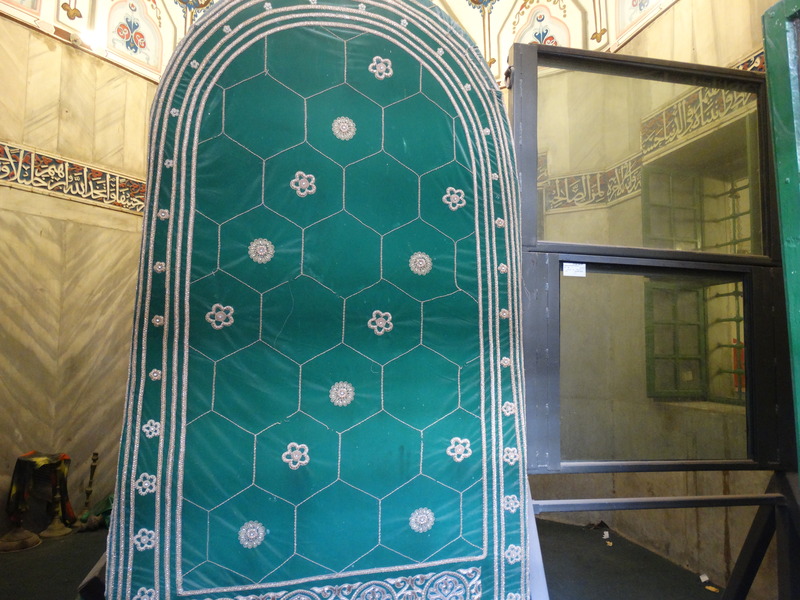 I walked over to the tomb of Abraham, and saw it, and the bulletproof glass that separates it from the temple. Then we walked over to the temple side. Palestinians are not permitted access to this side anymore, and Israelis are not permitted access to the mosque. I think what strikes me about the bulletproof glass is that it is such an incredibly vivid marker of separation. Like the wall, of course. The word alone makes me sad in this context. The glass is up so that nobody shoots at each other. Because people want to kill each other because of who they are. 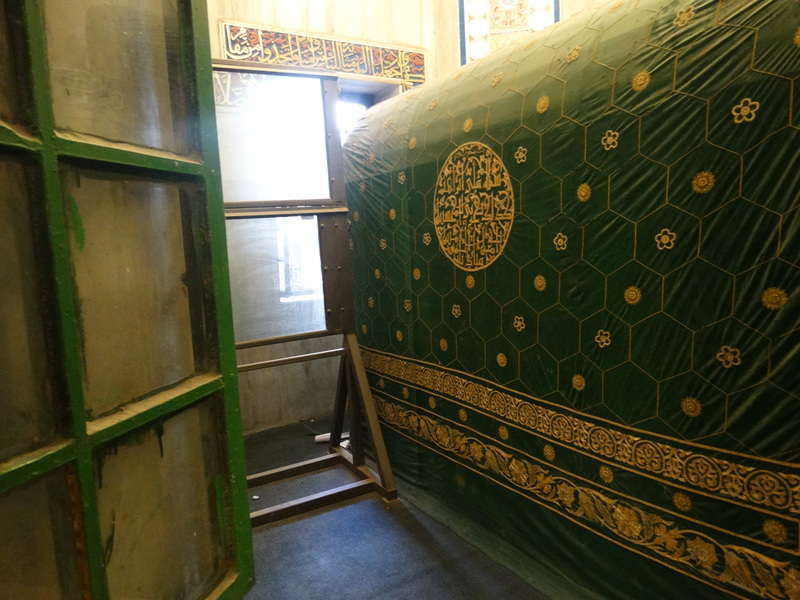 And at Abraham’s tomb. Abraham who, the stories say, God told would be the patriarch of many great generations, a chosen people. Your chosen people really are not so great sometimes, God. I’m praying for us. We need you.